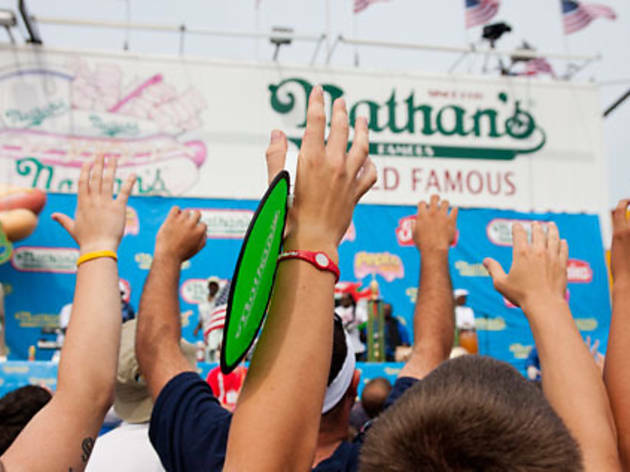 Hold on to your guts—Nathan's Hot Dog Eating Contest 2018 is upon us! 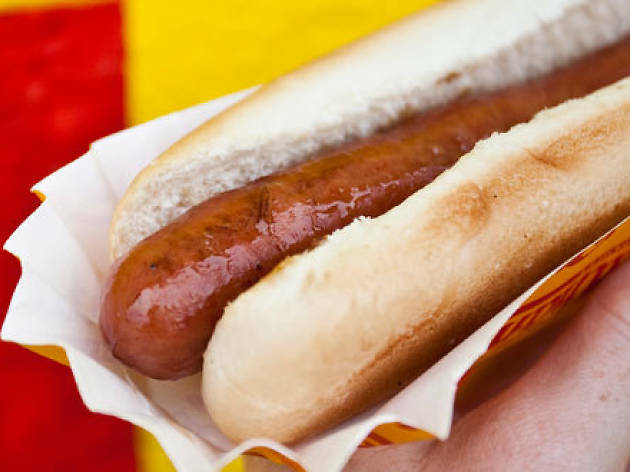 We can all agree that there’s nothing better than going to a baseball game or one of the best NYC parks for a cookout and eating one-too-many hot dogs, right? 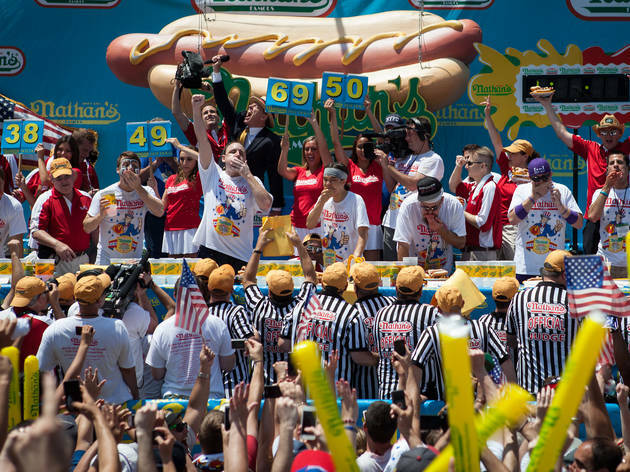 Well, the glutinous act has reached the big leagues in New York, as over 40,000 tune-in during Nathan’s Famous Hot Dog Eating Contest at Coney Island, NY. 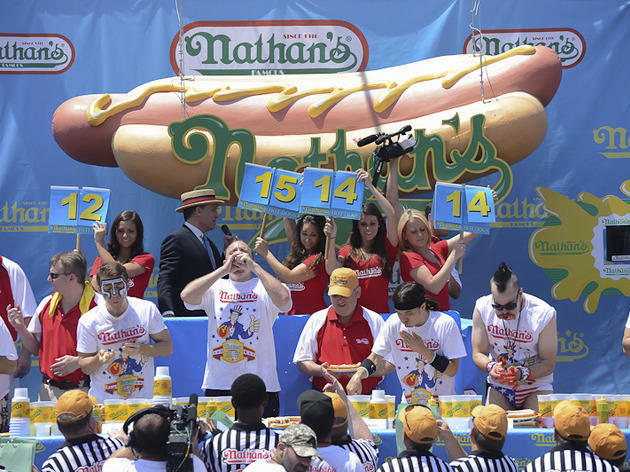 During the competition—which is now more than 100 years old—Frankfurter-eating legends race the clock and chow down on as many Nathan’s Famous dogs and buns they can swallow in ten minutes. It’s certainly one of the most beloved traditions and best NYC events in July, so here’s everything you need to know about watching and entering the competition. You won’t want to miss a single bite. 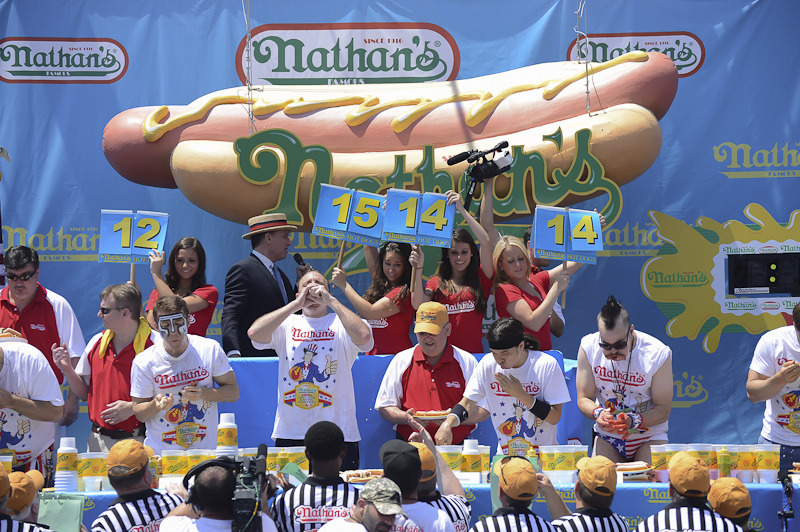 Okay, you might question the amount of athleticism needed to swallow a bunch of wieners, but Nathan’s Hot Dog Eating Contest is one of the most unique sporting competitions in the world—you can even watch the race live on ESPN! 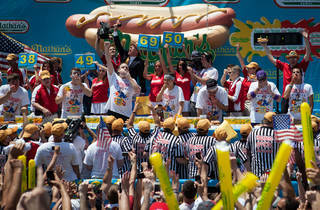 Folks will gather to watch the top female and male eaters try to swallow as many Franks as possible within ten minutes. The prize (apart from a free meal)? Eternal glory, and a $40,000 prize purse contaning a big shiny trophy and a bejeweled Mustard belt. When is Nathan’s Hot Dog Eating Contest? The race of legends goes down on Independence Day from 10am to 2pm. 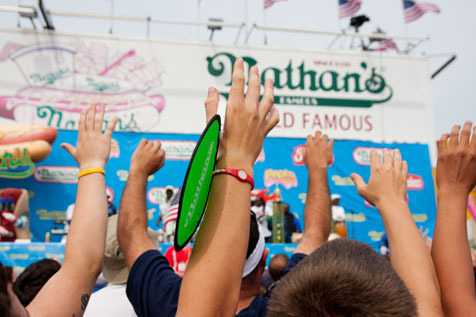 Where is Nathan’s Hot Dog Eating Contest? Watch the glorious event at Nathan’s Flagship restaurant (1310 Surf Ave) on the corner of Stillwell Ave at Coney Island, Brooklyn. What is the schedule for Nathan’s Hot Dog Eating Contest? 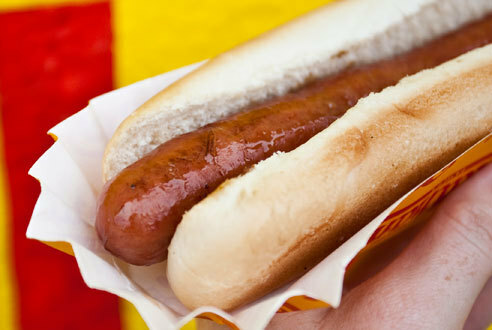 How can I participate in Nathan's Hot Dog Eating Contest? You have to register for the Nathan’s Famous qualifying event. 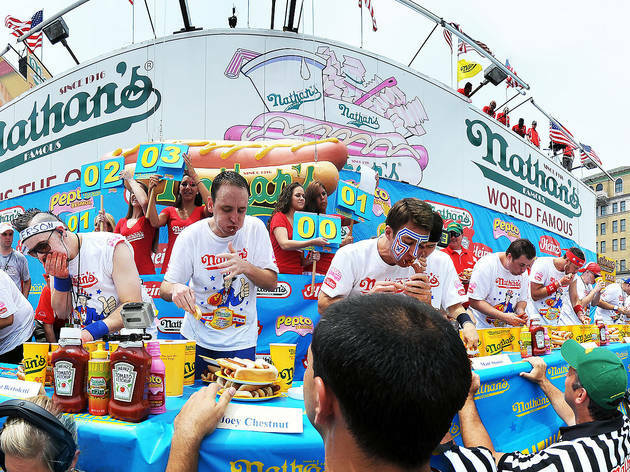 The top male and female finishers will secure their spot to complete in the Nathan's Famous Fourth of July International Hot Dog Eating Contest at Coney Island. For more information on how to register, visit the Major League Eating website to sign up. How do I get to Nathan’s Hot Dog Eating Contest? Via subway: D, F, N, Q to Stillwell Avenue Station. Via Manhattan Express Bus: X28 (Bensonhurst/Midtown), X38 (Bensonhurst/Midtown).